"Being a member of FIBR gives you confidence and support for your business. FIBR is always working to inform us about today's technology. We are proud and honored to be FIBR members." "El Burrito's FIBR experience has been rewarding and resourceful. I believe any company will find the networking benefits unique, interesting and an intellectual enhancement for the company and its employees." — Kathy Griset, President/CEO, Cibaria International, Inc.
"Since 1927 Rogers Poultry has Processed Poultry at the highest quality possible. This requires nothing less than an ever evolving Food Safety Program. FIBR keeps our staff up to date on the latest trends in the Food Industry by offer both Training Seminars and networking with other Companies. FIBR is a trusted partner that keeps Rogers Poultry at the leading edge of Poultry Processing." — George Saffarrans, CEO, Rogers Poultry Co.
— Manuata Martin, President Tahitian Gold Co.
Today, AFC produces more than 8 tons of tofu daily along with its other popular products, baked tofu and soy pudding. The AFC brand of products can be found in both Asian-American and American mainstream regional and national retail supermarket chains, health food stores, and also used in nationwide restaurant chains and other food manufacturers as part of their ingredient base. With hundreds of soy product varieties to choose from, AFC Trading & Wholesale is proud to serve and act as a ‘one-stop soy shop’. A.I. Foods Corporation is a USDA-inspected meat and poultry processing plant, specializing in Filipino and Asian foods. Our products range from spring rolls and steamed buns to meat skewers and sausages. We also offer copacking services for specialty items. Manufacturer of traditional Japanese pickled vegetables and wholesale. Bolsa LaLe specializes in Vietnamese deli meats, specialty headcheese, sausage, meatballs, and bakery. etc. as well we are a bakery. Brothee is devoted to providing tasty, nurturing broth based-food in support of our community and the environment. Brothee is located in Los Angeles, Ca. Our core business is fresh vegetables, fruits and nuts. However, we can also source certain products like natural snacks and beverages for grab-n-go business. Some samples of products we usually handle are: Watermelon, Apple, Onion, Strawberry, Avocado, Lettuce, and more. Established in 1993, California Specialty Farms began as a boutique specialty produce shipper. We specialize in fresh herbs, hand carved and turned vegetables, and sourcing the unique "bits & pieces" needed to fulfill culinary appetites of all kinds; was and remains one of our hallmarks. We are an approved GFSI and organic handler for processing and packing food service, retail and co-pack facility. We serve national and regional accounts. We welcome co-pack opportunities! Bakery and food ingredients are our specialty. Management team has over 75 years combined in the food and bakery business. Our tradition of over 100 years of service gives us the advantage to supply your entire needs. From helpful, knowledgeable sales staff, to on-time deliveries as well as superior technical support Capitol Food Company is here to help you. Our list of exceptional products is expanding to include ingredients produced by the finest manufacturers in the country. Our priority is our customer's satisfaction. Capitol Food Company is committed to: enhancing and meeting customer expectations; conducting business in an ethical manner, and abiding by regulatory guidelines. We strive to improve the safety, quality, and value of our products. 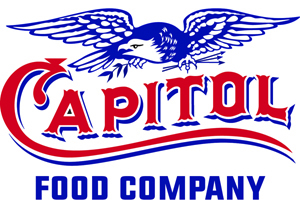 Many place their confidence in us by ordering their bakery and food ingredients from Capitol Food Company. Catalina Offshore Products is a seafood wholesaler company in San Diego, California. Central Processing processes Fish and Seafood, prepared to order. 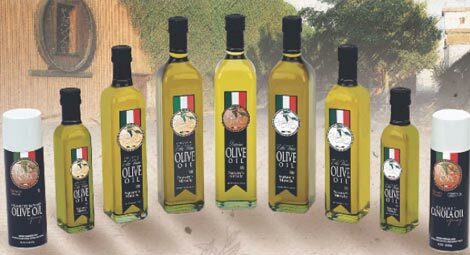 Cibaria International/West Coast Olive Oil Co.
Cibaria International offers packaged & bulk olive oils, specialty oils, organic oils, seed oils, soapmaking oils, butters, aerosol oils, and balsamic vinegars. C. Pacific is a prime/master importer of dry foods and supplies, stewarding a diverse portfolio of brands and creating value for its employees, customers, distributors and marketplace. Dandy Don's HomeMade Ice Cream serves ice cream and sorbet to over 150 restaurants, hotels, and country clubs in the Los Angeles area. DEAN Distributors, Inc. is manufacturer of specialty food products focused on the needs of the food industry. 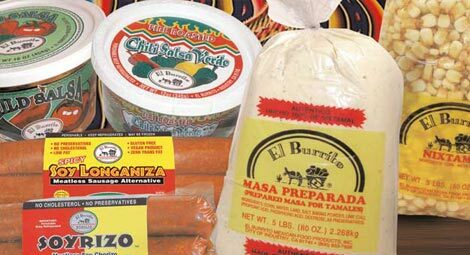 El Burrito Food Products manufactures fresh salsas, guacamole, chile purees, carrots & jalapenos and tamale masa. StarLite Cuisine Inc. is a natural foods manufacturer of high quality soy protein products committed to providing the highest in quality, meatless cuisines. Fortuna Sea Products, Inc. is a Long Beach based frozen seafood company. Since 1993, Fortuna Sea has been importing sustainably and responsibly harvested quality seafood from all over the world, then distributes to food distributors and wholesalers nationwide. Fortuna Sea co-works with customers by providing reliable services with ample inventory, creative programs sales, and stable pricing. Fresh Grill has been first and foremost with quality premium grilled and roasted vegetables that are now being offered to commercial and food service customers and soon to be seen in retail stores. We produce a full line of whole bean, ground and espresso coffees. For over 60 years, Giuliano's has been a family owned and operated business, providing great products and exceptional customer service. GOLD COAST INGREDIENTS, INC., a wholesale flavors and colors manufacturer, is committed to bringing you the finest flavors, colors and food products at a fair value, delivered with service that is unsurpassed in promptness, courtesy and consistency. Grain Craft has a time-honored, personal commitment to the flour milling business. We are the largest independent flour miller in the US. We have developed lasting relationships with American farmers to grow and harvest the best varieties of wheat for your baking needs. Each of our 15 mills are run by experienced millers who believe in the art of providing wholesome and nutritious flour. This is our story. Let us be a part of yours. 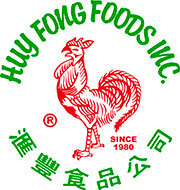 Huy Fong Foods' chili sauces are made from fresh, red Jalapeño chili peppers and contain no water or artificial colors. International Tea Importers (ITI) is a major importer of organic and fair trade teas as well as conventional teas from every tea-producing country and herbals of every description. Since 1990, we have proudly offered surpassing quality and surprisingly low prices and personal service for every type of tea or tea-related product. We guarantee our customers a wealth of choice from our warehouse of over 500 different types of tea, shipped same day by the pound or by the pallet. Jayone Foods, Inc. was founded in 2000. Jayone manufactures high quality tofu and other Korean food products. 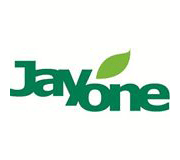 Jayone Foods has over 800+ food items that ranges from produce to frozen foods. Juanita's Foods manufacturers and markets convenient Mexican foods under the Juanita's Foods, Pico Pica and Tia Anita's brands. Juice Connection is a business dedicated to our customer taste with regard to healthy juices, cleansing juices, smoothies, purees, and other juices. All these juices are prpeared to the customer preferences. We offer healthy, fresh and delicious juices, 100% natural with no sugar added. Kobayashi Noodle U.S.A. was established in 2009, and started operating in 2011. Our headquarters are in Hokkaido Japan. The company is over 30 years old. We produce Japanese style ramen noodles of all types. Our focus is to make authentic and traditional noodles. Mamma Bella is a Division of New York Frozen Foods, a subsidiary of the T. Marzetti Company. We produce frozen Garlic Bread products made with freshly baked breads that are sliced and spread with natural ingredients such as fresh pureed garlic from Gilroy, herbs, butter, margarine or safflower and palm oil, then packed and frozen. All you do is heat and enjoy the delicious garlic bread as a complement to a meal or a snack. Mamma Bella has been making quality garlic bread products for over 29 years with safe food practices, a tradition our consumers can expect of our authentic garlic bread products. Marimix Company, Inc. is a woman-minority owned specialty snack manufacturing company based in Southern California. Marquez & Marquez Food Products, Inc.
El Paraiso Foods is founded by Silvia and Elias Marquez. In 1981, the dream of manufacturing corn tostadas and tortillas became a reality, and El Paraiso Foods was established with hard work and dedicated; with over 12 hours a day, seven days a week; refusing to let their dream come to an end. Originally, they began manufacturing tortillas from a small warehouse in the City of South Gate. Mrs. Marquez set out to create the perfect tostada casera (home-style tostada) made of pure white corn with the authentic taste of their Mexican roots. Thinking about the tasty, homemade tostadas with the RIGHT AMOUNT OF CRISP in every bite that she used to enjoy growing up! 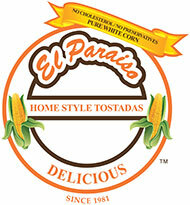 El Paraiso Foods is now a thriving company, which has expanded its product line to include Tortilla Chips, and Oven Baked Tostadas. They hope to continue expanding and be able to share their delicious, pure white corn healthy products line with generations to come. Me Gusta Gourmet Foods, Inc.
Our Tamales are hand made daily, and individually wrapped in fresh corn husks, with the original secret recipe handed down by the Ortega family. These tamales will do great in your School diner's, Cafeteria's, Deli, Food service, Hot Deli case. Give them a try they are guaranteed to be a success. We use only the finest ingredients available like 0 Trans Fat margarine, the finest trimmest cuts of meat, 100% real Monterrey Jack Cheese. We DO NOT USE lard! You will really enjoy them! Coconut Oil is our passion and we would love to share this passion with you. We are committed to searching the world for the very best Organic, Virgin, Unrefined coconut oil. We have sources from the Philippines, Sri Lanka and Vietnam. We also import Whole Kernel coconut oil, Organic coconut flour, as well as coconut cream and milk. Miguel's Jr. is a high-end full service fast food restaurant serving up only the freshest home-style Mexican food. Import/distribution from Japan. Products include: cookies, candies, chocolates, rice crackers, dry seaweed, and dry sweets. Since 1986, Mixed Nuts Inc. has been processing, dry roasting and packaging full line of nuts, seeds and dried fruits in Los Angeles, California. All domestic and imported items are sourced directly from the main growers and processors. Mixed Nuts Inc. is known for its flavored dry roasting and variety of mixes. Products are sold both in, 25lb bulk boxes and retail packages ranging from 5 to 32oz re-sealable, stand up pouches. Quality is the primary commitment. Mixed Nuts guarantees freshness and stands behind all its products. State of the art packaging machinery extends the flexibility to pack brand name or private label. The wide range of items combined with dry roasting, flavoring and efficient packing facility make Mixed Nuts a strong, direct, single source, and competitive supplier. Mixed Nuts, Inc. welcomes the opportunity to establish a lasting relationship with both suppliers and customers. Moreno Group International Inc. prides itself on supplying the highest quality available. We have a combined total of more than 30 years' experience. Nielsen Citrus also owns and farms 300 acres of certified organic lemon grove in California and Arizona. In 1993, Nielsen's acquired SunTree Products. SunTree provides shelf stable lemon and lime juice in a variety of pack size to retail, food service, and food manufacturers. The California Wedge is a new design with our same great product that the customer has known since the 1950's. Our 32 oz. PET bottle are shipped to retail stores as well and are available for private label. Nielsen Citrus Products is run and operated by the Nielsen family. All our products are bottled and packaged in Huntington Beach, CA. The Nielsen and SunTree products are made purely from the juice of the fruit. We do not add citric acid to any of our products. All our products are certified by the Rabbinical Council of California. Ocean Jewels is a supplier of high quality fresh fish, assorted shellfish and lovely seafood products to chefs and retaurants in the Los Angeles area. Our company is avsauce manufacturer. Our main product is Okonomi sauce for Japanese savory pancake "Okonomiyaki". We are also manufacturing Sushi sauce, Yakisoba sauce.... so on. Some of the top hotels in Southern California that currently purchase our pasta include the Ritz Carlton Pasadena and Laguna Niguel. QTrade Teas & Herbs provides specialty teas, herbs, spices, custom blending, product development, and private label services to businesses all over the world. Quon Yick Noodle Company products are known for freshness, consistent quality, and always the best taste. Over the years, the product line has expanded according to customer needs. With the core product of various shapes and sizes of Dry Noodles and Fresh Noodles, other products include Won Ton Skins, Dumpling (Gyoza) Skins, Eggroll Skins, and Butterfly Skins (used for the "Butterfly Pastry"). 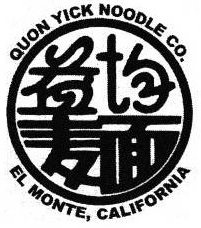 Quon Yick Noodle Company products can be found in most Los Angeles area Asian food markets and Asian restaurant food suppliers or fresh direct from the factory. Our noodle is recognized nationwide and can be found in various places around the U.S., as far East as Washington D.C. and as far North as Alaska! Ontario, California-headquartered Rama Food Manufacture Corp. prepares rice stick noodles and distributes them to wholesalers, retailers, restaurants, and other businesses throughout the United States and Canada. Using traditional recipes and advanced packaging technologies, Rama Food Manufacture Corp. provides one of the freshest rice-stick-noodle products on the market. To ensure freshness on both ends of production, the company only acquires raw ingredients from quality vendors. Furthermore, the business maintains an industry-setting standard in the safety and cleanliness of its manufacturing operations. Made from ground rice and water, rice stick noodles are found in a variety of traditional Asian dishes. Red Shell Foods is a manufacturer specializing in salad dressings, sauces and Fresh Sushi. Rogers Poultry is a processor of fresh raw poultry products including Organic and ABF items since 1927 in Southern California. We carry a complete line of Dry goods, Frozen Foods of all types. Distribution to the Western United States Region. We are a noodle manufacturing company that specialize in Oriental style noodles such as Udon, Ramen, Chow Mein, Etc. Our fresh noodles are easy to prepare and delicious to eat all year around. We are a family owned business since 1983. Our noodles are available at your neighborhood grocery stores and oriental supermarkets. Sea Win, Inc. a wholesaler of seafood products since 1986, is well recognized as a major player in the seafood industry. The company also imports and exports various seafood products worldwide. Sea Win, Inc. is committed to providing quality seafood products to the general public. 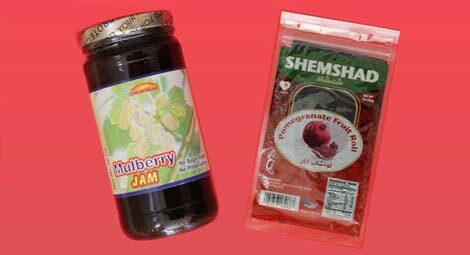 Food manufacturing, wholesale of pickeled vegetables, jams, yogurt drinks (non-carbonated), mustard, persian style stews, juices, dry fruit snacks and syrups. Simply Fresh Fruit offers the most extensive line of fresh cut fruit available and is one of the largest fresh-cut fruit providers in the U.S. Our made-to-order fruit is hand cut and organically sanitized to ensure the highest quality. Our ripe and savory fruit blends offer a convenient and delicious way to add fresh ingredients to your plate. Our state-of-the-art plant located in Vernon, California, is annually inspected and verified by a third party to exceed the highest food safety standards and provide the freshest fruit available. 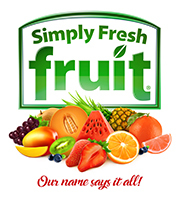 With over 100 years of collective experience, our team at Simply Fresh Fruit is dedicated to providing our customers with a safe and delicious product they can trust to be of the highest quality. We are a leader in innovative sustainability initiatives and recycling programs. Capability to create and replicate spice blends. Without formulation recipe. In addition to provide necessary technical data relating to spice blends. Low co-packing minimums. 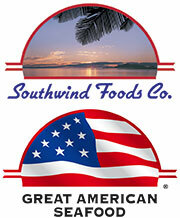 Our Mission at Southwind Foods / Great American Seafood Company is simple. Provide each and every customer with the very best quality seafood, meat and poultry while servicing their individual needs. Though every customer is different, our approach to increasing their sales is the same. With our tremendous variety, diverse frozen lines of product and over 100 years of experience in our current ranks, Southwind Foods / Great American Seafood is the right partner for your growing business..
Family owned and operated since 1981, Soyfoods of America has been dedicated to manufacturing and providing everyone with the best quality and most wholesome soy products possible. At Spice Appeal we strive to evoke a spirit of adventure by bringing the world's spices to your kitchen, emphasizing variety and diversity to "spice up your life." We have set out to not only bring high quality and high style products to our consumers, but to create a unique, creative, and spirited culinary lifestyle. We have unique tin jars with clear lids for retail as well as bulk spices for Food Service. Tahitian Gold Company founded in 1994 and based in Southern California, is an importer of natural vanilla beans and authentic Tahitian Noni Juice. The company manufactures a line of signature vanilla products including Ground Vanilla Beans, Whole Vanilla Bean Paste, Vanilla Sugar and Vanilla Fleur de Sel. The company also distributes a line of Pure Vanilla Extracts. Established in 1986, Takaokaya USA is proud to be the original Nori seaweed processing company in America, now offering a wide variety of Japanese Green Tea, Soy Crepe (egg and soy based alternative sushi wraps), and Furikake (Japanese rice seasonings), and Japanese flavor popcorn. We are Organic/Kosher certified facility, catering our quality/safe products to manufactures/wholesalers/distributors/food services/retailers/consumers. Premiere Manufacturer of Tahini and Falafel Mix. Provider of All Natural hulled and roasted sesame seed. Private label Co-packing available. We specialize in many types of soymilk and tofu items, and we manufacture private label items as well as items in bulk. The Perfect Bite Co. is a recognized industry trend setter in the specialty food marketplace. In addition to The Perfect Bite Co., PerfectKITCHEN and Recipe Box FOODS lines, we are the "go to" private label resource for all-natural food product innovation and development. Certified Laboratories is a food testing laboratory with facilities located in Southern CA, Northern CA, Chicago, and New York, all specializing in food chemistry, microbiology, forensics, nutritional labeling, FDA import testing, and food sanitation analyses. 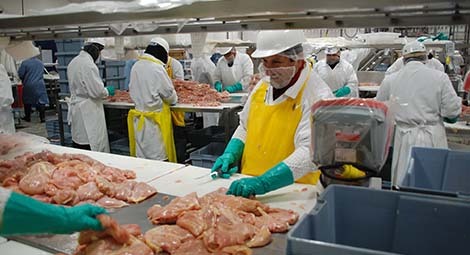 Additionally, our Certified Food Safety Center in Northern CA focuses on food safety projects including validation services, process authority work, shelf-life/challenge studies, and consulting. Tri-Marine Fish Company is a wet fish processing plant, located at the Port of Los Angeles. We specialize in bulk packs of squid, sardines and mackerel. Founded by Alan True and headquartered in Southern California, True Fresh HPP is one of the largest HPP tolling solutions providers in the US. True Fresh's two Hiperbaric Model 525s machines are conveniently situated in 60,000 sq ft cold storage facility in Buena Park, California. HPP services include real-time inventory management, comprehensive product traceability and logistics support such as cross docking, case packing, palletizing and a host of other cold storage logistic solutions. 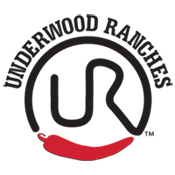 Underwood Ranches LP a family owned grower in Ventura County since 1867. We specialize in fresh market chili peppers for retail and chili pepper mash for condiment companies. All our chili peppers are grown in the USA under Global GAP certification. Village Green Foods is a wholesale food manufacturer / co-packer for restaurant chains and other manufacturers. For 28 years we have produced proprietary products - soup, chili, sauce, marinade, salad dressings, fillings (both sweet and savory) for our clients and we product under both USDA and FDA inspection. Products are pouch packed and are stored and distributed under refrigerated or frozen conditions. All products are made per our clients’ recipes or to recipes that we develop for our clients. 3 years ago we got our Cannery License and started producing shelf stable products that are packed in bottles and jars. These products are also proprietary to our clients. Manufacturers of Quality Asian Noodles since 1973. Manufacturer of innovative gluten free, grain free, starch free, predominantly vegan or vegetarian treats that are ultra low glycemic and have less than one gram of sugar per serving. We have invented a patent pending chocolate which is 1/3 the fat and half the calories of dark chocolate. .We do not use artificial sweeteners, xylitol, or erythritol. Products taste great and can be eaten by diabetics with little to no impact on their blood sugar. Products include, protein bites, a grain/gluten/oat/sugar/starch, and syrup free granola, as well as wheat and starch free chocolate cupcakes and 47 calorie fudge truffle. All taste amazing. Zetlian Bakery is a wholesale food processor, specializing in baked goods.